Yesterday I wrote about my feelings about all of Ben’s things around the house and how it has been a challenge deciding what to do with everything. Slowly some things have found new homes and lives, some have met their fate at the hands of the binmen, and many are still part of the furniture of our daily lives. I’m starting with my favourite. Months ago Ben’s Mum and I came up with a list of beautiful things that we’d like to make with some of Ben’s shirts that we’ve kept, from a patchwork quilt for Saskia, to a little pouch for leaving teeth for the Tooth Fairy. We haven’t made much progress yet – it’s about finding the right moment and that might not be for a while – but I will share pics one day! In the meantime, here’s a picture of one of three incredibly cute animal hoods that my brilliantly talented and kind friend Marylka made for Saskia out of some of Ben’s hoodies. It’s taking a while to feel ok about giving Ben’s things away to friends and family. 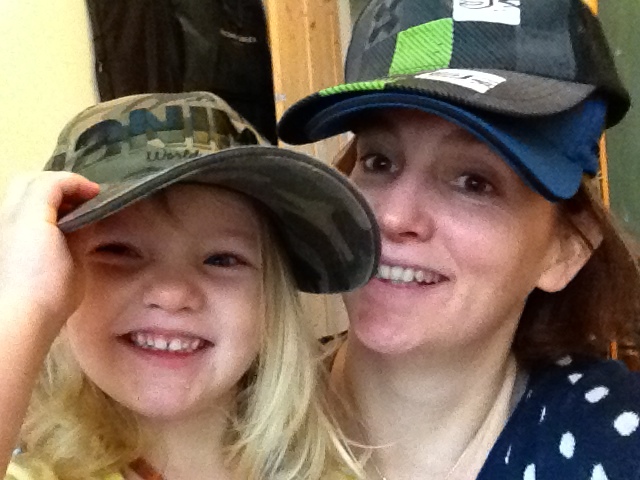 There has been, and remains, quite a lot of uncertainty in my mind about whether I want to keep certain things for myself, or for Saskia, or am happy for someone else to have them. I am aware of my selfishness in this – Ben’s possessions are all of course legally my possessions now, but it wouldn’t be right for me to hoard everything away from others, especially his closest family and friends. Fortunately no one has put pressure on me to give them anything, so I have plenty of time to mull over what to keep and what to part with. A couple of times lately I have suddenly realised that this or that would be the perfect gift for this person or that. 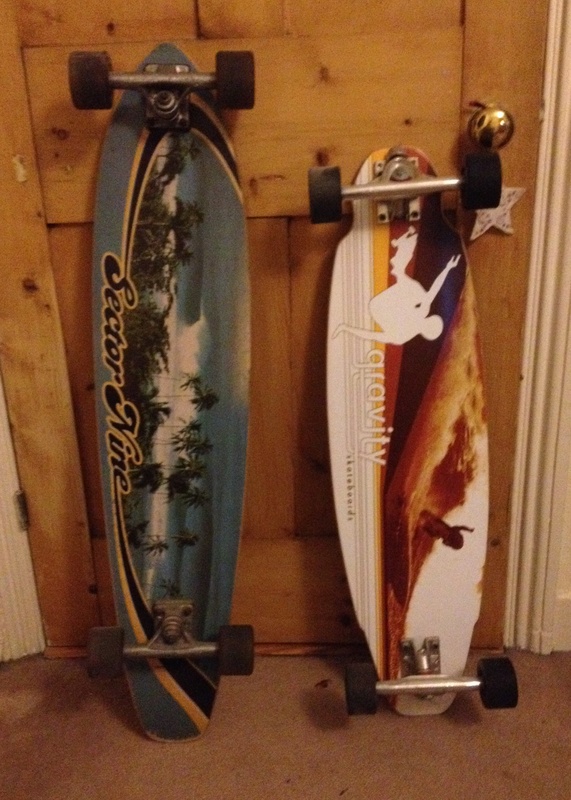 At Christmas I decided that Ben’s two skate boards, with their attractive retro artwork, should go to the two young ladies in his life – his sister and his daughter. So Saskia’s was stored for her, and Katherine found hers with a bow on under the Christmas tree. His X-Box was packaged up for my nephew and niece’s Christmas present – a big surprise for them! It feels lovely to give these gifts knowing how treasured they’ll be, but it also feels very important that the timing is right and that I’m ready to say goodbye to these little bits of Ben. In our case, it’s a bag and a couple of boxes at the moment. I’m on the look out for a lovely chest to put everything in. We’ve got all sorts of treasures – from the obvious things such as Ben’s wedding ring, and watch, to a toy car and a pair of football boots with the mud still on them. There are also things that Ben specifically asked me to give to Saskia on certain birthdays. They’re all packaged up and ready. 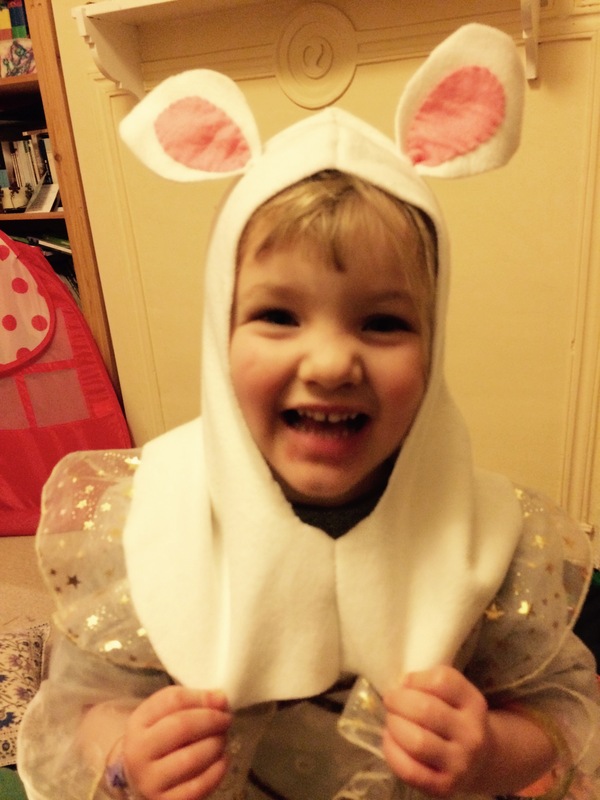 There are so many of Ben’s bits and pieces around the house and Saskia, with a wonderful lack of reverence, is very happy to make them hers in her own barmy way. 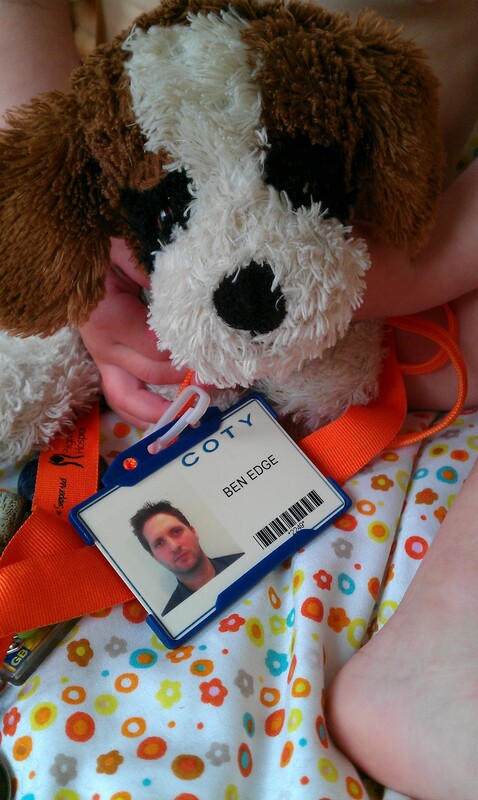 About a year ago she found Ben’s old work lanyard and decided it was a lead for her cuddly dog. Ben’s picture and that dog were dragged around the house together for a good month or so. Ben would have totally loved the absurdity and thoroughly approved of the furry new owner of his badge of office. Some items haven’t been moved since Ben left. There’s a Tilly hat hooked over the top of a bookcase just as he put it in our kind of dining room/family room. I like it. It sits there quietly, not bothering anyone, being an unnoticed partaker in all the hubbub and noise that goes on in that room every day. Not everything can stay – there’s too much. And though, as I said in my last post, even the most mundane objects seem to have gained new importance, it would be madness to keep every little thing. But it’s so hard to actually throw things away – I even took ages to throw away things like a pair of holey socks or a half-used can of deodorant at the start – it felt like throwing him away somehow. But, Faversham is blessed with a multitude of charity shops, among them them Pilgrims Hospices and Cancer Research UK, and so I’ve taken a lot of Ben’s clothes there. Knowing that they’ve been converted into cash for the charities and are hopefully keeping someone somewhere warm, helps to assuage somewhat that horrible sense of betrayal. And some things have just gone into the bin. I feel like I’m confessing something terrible to say it! Maybe I sound a bit mad with all this angsting – I just can’t help it. Recently I really struggled with getting rid of a shelf of old VHS tapes from the lounge. Ben and I had talked about throwing them out and obviously they’re never going to be used again, but there they were, up on the shelf, as Ben had arranged them, like a CV of his TV viewing life – or rather his VHS-watching teenage years, when he was into Alan Partridge and South Park, and watched surfing films, dreaming of holidays to come and the prowess he was going to achieve. I couldn’t get them down from the shelf. In the end I took a picture of them in situ, just as Ben had put them when we moved into the house. I’m not sure exactly what I’ll do with the picture – post it here for one, but probably I’ll also put it amongst the treasures I’m keeping for Saskia. I kept a few of the tapes for posterity and the rest, well, they have gone to the big video rental shop in the sky. And so that’s it really. There’s still lots of Ben around the place and I like that, but slowly, very slowly, the house is moving on as Sas and I do. Old things have to make way for new ones. It’s hard though. Categories: Life as a widow | Tags: grief and memory, grieving, keepsakes, momento, upcycling, widow | Permalink.